AIPS has received funding from the US Embassy for a series of three workshops in four different subject areas, where the same participants attend all three workshops within one particular series. Four series of workshops are scheduled for the upcoming months. Iftikhar Dadi, Cornell University, is organizing a workshop series based on the theme of Visual Analysis: art, architecture and media. A series of three seminars on methodological questions and case studies on these areas will be offered during 2015. Participants will include faculty in the higher education sector from across Pakistan. The seminars will focus on assisting participants in developing their own curriculum and teaching at the undergraduate and graduate levels, and provide them with frameworks useful in furthering their individual research projects. The seminars are divided into 1) modern and contemporary art, 2) architectural history and theory of South Asia, and 3) South Asian media cultures: history, theory, and criticism. J. Mark Kenoyer, University of Wisconsin-Madison, organized a workshop series on teaching Archaeology and Cultural Heritage Management. The objectives of this series was to provide examples of how archaeology is being taught in both large and small US Universities. Invitations were sent to universities that have active programs of teaching archaeology and cultural heritage management. Selected participants attended all three workshops to receive the full benefit of this series. Kenoyer partnered with Quiad-i-Azam University for the delivery of the series. Paula Newberg, University of Texas at Austin, is organizing a series of workshops on the theme of Peace-building and conflict resolution. The intended audience for these workshops is social science and law faculty. The questions surrounding the study of peace are many, and the need for answers urgent. What do we mean by peace and non-peace? What are the dynamics between the self and Other that can either lead to peace or non-peace? What is the place of such concepts as trust, hospitality, neighborliness, friendship and tolerance in transforming relationship between self and Other? Are there different cultures and traditions regarding the relationship of self and Other? Are there contemporary social ideologies that either limit or enhance the capacity for understanding between self and Other and for working toward peace? If so, what are they and how can we best study them? Pakistan is an ideal location to carry out this work. With its many different ethnic, linguistic, and religious groups, and its long history of both peace and non-peace, Pakistan offers numerous cases that, if studied and taught from a scholarly angle, hold tremendous possibilities for contributing to this field in ways that will benefit both Pakistan and peace studies globally. Workshop I: What is Peace? How does it apply in Pakistan? Workshop II : What methods can we use to study peace? How can we incorporate social media in our teaching and research? This workshop will explore different methodological approaches from the humanities and social sciences for studying peace. Some of the methods that will be explored include qualitative methods such as ethnographic, historical, and discourse studies; quantitative methods such as survey research; and new methods that combine traditional and computational/digital methods. Workshop participants will learn to distinguish between interpretive, analytic and normative studies, with a particular emphasis on exploring how different methods produce different outcomes. A central component of this workshop will be a field research practicum that will involve participant observation. Specifically, seminar participants will be asked to consider ways in which different communities, including the local, state or national government, produce peace in the public or civic space. Seminar participants will also be shown how to use computer-based technology to produce a “web ethnography” so as to examine more critically claims about social media versus what is happening on the ground. 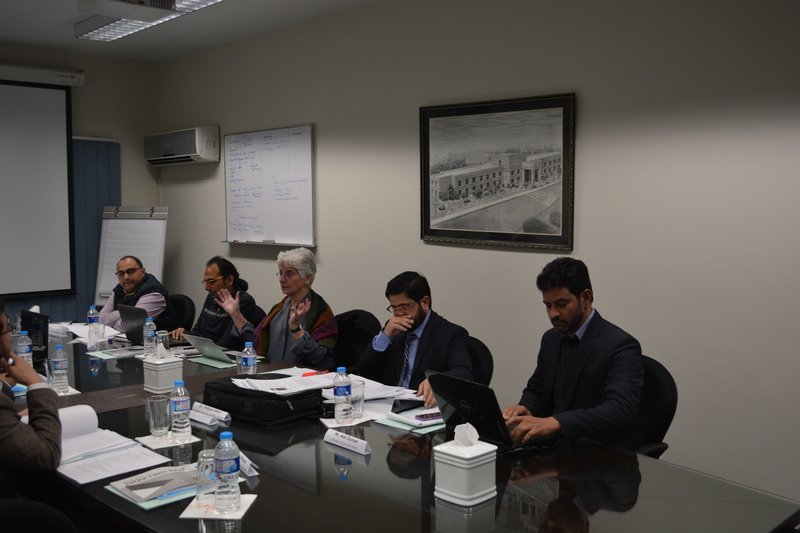 Workshop III : Building Peace into Education and Research: Peer-Review of Syllabi/Conference Papers. This workshop will be structured around a peer-review process in which seminar participants will present either the syllabus that they created or their conference paper for critique and revision. During the previous workshops, sessions will be held that focus on framing questions for teaching and research that incorporate relevant theoretical and methodological approaches, and demonstrating how those components are reflected in the different academic products. Participants preparing syllabi will be asked to defend their work through the following components: 1) syllabus outline; 2) annotated bibliography; 3) assignments, their objectives and relevance; 4) teaching one topic from the syllabus; and 5) how they incorporated use of the internet in their syllabus. Participants preparing a conference paper will be asked to defend the following: 1) Thesis: Why is this topic and approach important? How does it contribute to the understanding of peace and Pakistan? What is the original contribution the work is making? 2) Revisions: How do you know when your work needs revision? Who is there to help you? What is your process for revising? 3) Next Steps: What do you want to do next--submit to conference or revise it for publication? What is your plan for accomplishing that goal? Who will help you? 4) Sharing Research in a Public Medium: How do you revise scholarly work for public consumption? What are the components of a good public piece? Anjuman-i Taraqqi-I Urdu (ATU) Library is one of the most valuable of early Urdu and Persian printed materials. These materials, however, were cataloged on cards in the mid-twentieth century. The cataloging requires enhancement and an upgrade to new technology to meet the needs of scholars today. In addition, there is a need for libraries in Pakistan to update their systems to integrate more fully with the global community of libraries whereby materials can be located and accessed. In order to improve the catalog at ATU and other libraries in Pakistan and provide education, this workshop series proposes input from expert librarians, the hiring/training of catalogers, two workshops, and the use of a digital platform to host the catalog and integrate it with OCLC WorldCat. These steps will improve awareness of current library practices, provide access to the ATU's collections, and bring them to the forefront of Pakistani literary studies while making them available to scholars of South Asia and the greater Persianate world. This will be thematic workshop over two days with content on the following: a) library sciences and the role of a research library, b) technological changes in the research library, c) cataloging and romanization standards, d) linked data and WorldCat, and e) controlled vocabularies and subject headings.